The phrase “lessons learned is such a common one, yet people struggle with developing effective lessons learned approaches. 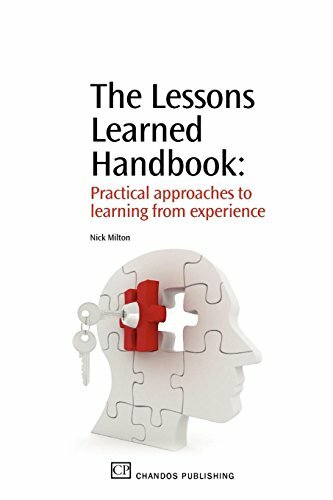 The Lessons Learned Handbook is written for the project manager, quality manager or senior manager trying to put in place a system for learning from experience, or looking to improve the system they have. Based on experience of successful and unsuccessful systems, the author recognises the need to convert learning into action. For this to happen, there needs to be a series of key steps, which the book guides the reader through. The book provides practical guidance to learning from experience, illustrated with case histories from the author, and from contributors from industry and the public sector.